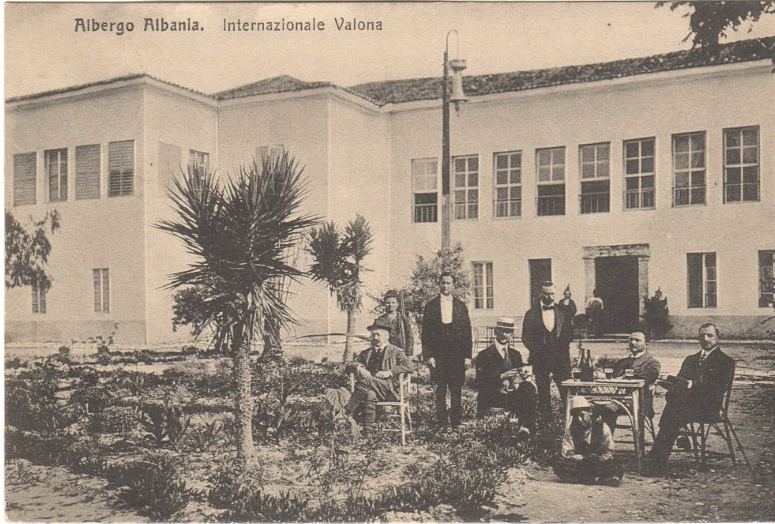 From 1909 through 1916, Italy issued stamps overprinted “Valona” for their offices in Valona during their occupation of Albania. These were legit stamps used during that period. 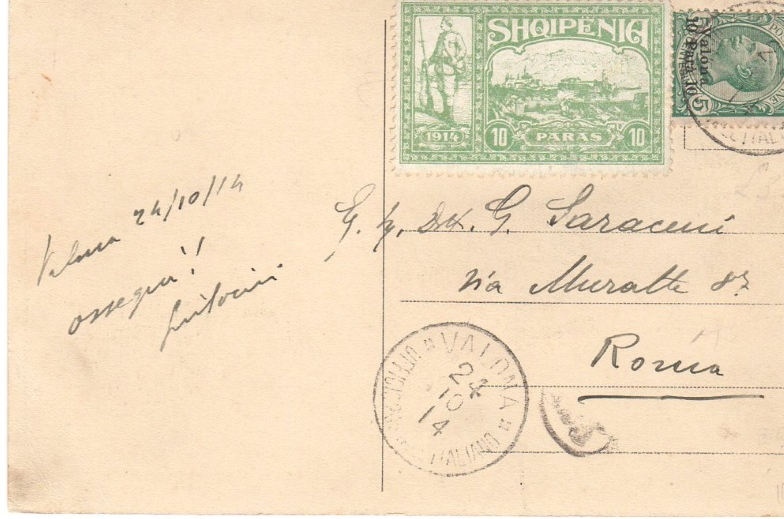 I acquired a cover bearing the 1st issue of this series (10pa on 5c green) affixed to a postcard sent to Rome. 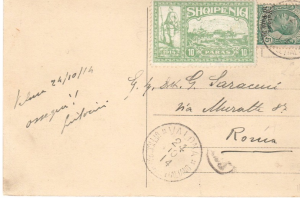 The postcard also features the 5pa issue from the 1914 Fantasy Series affixed next to the legitimate stamp. Of course, I would highly doubt that this fantasy stamp traveled through the mail, and was probably added later to the postcard. The postcard was postmarked 10/24/1914 which fits the Valona timeline I outlined here. Here is a closeup of the back. Stamp collecting sometimes isn’t just about ensuring that what you have was legitimate. Items like this tell the story of philately as much or more, even though they are bogus.